The solution is simple, to change the Attribute(s) of a file or folder in Windows-7 or Windows 8.1 e.g. 8! Start the MS-Explorer, for example via keyboard shortcut [Windows-Logo]+[E] and browse to file or folder and select the object via mouse right click! And change the file or folder properties e.g. attributes! 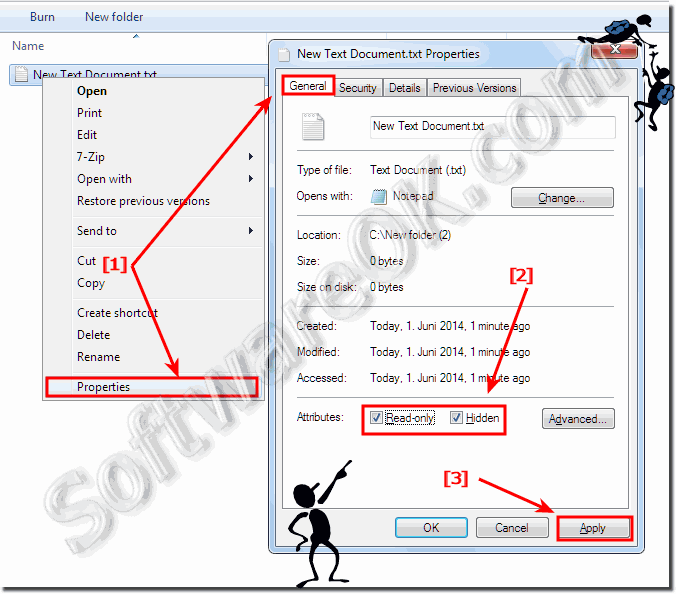 (Image-1) Change Attributes of a file or folder in Windows-7! Windows-7 - FAQ-106: How to change the Attribute(s) of a file or folder in Windows-7?